At Covington Blind & Shutter Company, we are dedicated to providing our customers with the highest quality of products and services available. When it comes to providing Beaufort, South Carolina with exceptional storm protection and window treatments, our products and services are unbeatable. The right window treatment will enrich your window and your room. Blinds, Shades or Shutters can be the final piece that subtly pulls a room together. We know your choice of window coverings is an important decision and we take the time to get it right! We’ll provide you with a selection of top quality products, the product details and the price information you need to assure you will make the best selection. Our mission is to provide customers with an enduring value for their window treatment investment by offering quality products and service. We take great pride in ensuring that every job is done right and to the satisfaction of the customer. 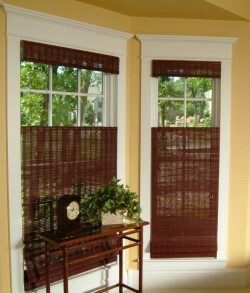 Covington Blind and Shutter Company offers many options that will meet your every need. We do it all from budgeting and planning to delivery and installation. Schedule a no cost consultation today!